When enjoying music, we rely on our sense of hearing. It is critical that we take care of our ears so that we can enjoy the music for a lifetime. Our inner ears contain tiny hair cells which change sound into electrical signals that are sent to the brain. These hair cells are easily damaged when exposed to loud sound. In some cases, the hearing loss is temporary and returns to normal within 16 hours. However, repeated exposure to loud sound, including music, can lead to permanent hearing loss and/or tinnitus, a ringing or buzzing sound in the ears. In most cases, the hearing loss is gradual and may not be noticed until the damage is irreversible. Whether or not a sound is damaging to our ears is dependent on many factors. The most important factors are loudness and duration. The louder the sound, the more harmful it is. Similarly, the longer that one is exposed to a loud sound, the more damaging it is. Louder sounds may be safe for shorter durations. However, some sounds can so be so loud that even brief exposure can cause permanent hearing loss. The general rule is, for sounds 85 dB and greater, every 3-5 dB increase in sound intensity (volume) requires us to decrease our exposure time by half. If we know that our environment is 85 dB and we can safely listen for eight hours, an increase to 90 dB means we can only safely listen for four hours. How do we know how loud our environment is? Sound level meters and dosimeters are often used in industrial situations to obtain accurate measurements. For informal assessments, inexpensive and even free apps are available to give you a general idea of the decibel level in an environment. Measuring music is tricky, since the intensity and frequency ranges vary, but an app may be a good starting point. While an app does not replace a professional sound survey, it can help you determine if your environment puts you at risk of harming your ears. Some people are more at risk of hearing loss than others. People who work around loud sound and also participate in musical activities are at greater risk than those who spend most of their time in a quiet environment. Also, some people genetically are more susceptible to hearing loss than others. It is best that all musicians consider reducing exposure of loud sound in their general environment in order to reduce the risk of sound-induced hearing loss. Protecting your hearing does not need to be expensive. Turning down the volume of your personal music listening device is easy and free. Also, inexpensive earplugs can be worn when mowing the lawn or using power tools. Reducing exposure to loud sounds unrelated to music will reduce a person’s overall noise “dose” without affecting music listening. How do we enjoy music while protecting our ears? Here are some tips. When listening to music through earbuds or earphones, limit the volume to 70% of the maximum level. Limit the amount of time that you listen to music through earbuds or earphones. Be sure to give your ears frequent breaks. Use noise cancelling earphones. Many people turn up the volume to hear the music better when listening in noisy environments. Use of noise cancelling earphones often allows the listener to comfortably listen at a safer volume. If attending a concert featuring loud amplified music, try to avoid noisy activities for 18 hours afterwards in order to allow your ears to have a resting period. When performing music, some additional tips may be helpful. Hum. If you know about a loud sound in a piece of music, such as a symbol crash, hum just before and during the sound. Humming causes a muscle inside of our ears to contract, which will temporarily make it harder for a sound to be transmitted to the inner ear. Use of foam earplugs is not recommended for music because they do not reduce sound equally across frequencies. Speech may sound muffled and one’s own voice may sound hollow. Special earplugs are available for musicians that attenuate the volume of sound reaching the ear without altering the balance of the music. All bass and treble sounds are reduced by the same amount and speech should sound softer but clear. If you are interested in purchasing musician’s earplugs, consult with your audiologist first. Too little ear protection may not protect you from hearing loss while too much may result in arm and wrist strain due to overplaying. Also, your audiologist should verify that the hearing protection is indeed reducing sound by the prescribed amount. Do not be afraid to ask for a simple test to assure that your musician’s earplugs are effective. These tend to be pricy, so you want to know that they are working. Your hearing is too important to take for granted. Take care of your ears so that you can enjoy the sound of handbells for a lifetime. This article is intended for general information and is not to be considered medical advice. Readers are encouraged to discuss their hearing and listening environments with their personal audiologist and physician. Michelle L. Tejada, AuD, PASC is Board Certified in Audiology with Specialty Certification in Pediatric Audiology. She is Manager of Audiology for University Health System in San Antonio, TX. Dr. Tejada also has extensive experience as a handbell ringer and director. 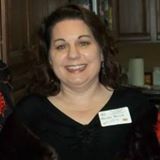 She currently serves as Past Chair of Area 9. When not working or ringing, Dr. Tejada enjoys embarrassing her teenage daughters by measuring sound levels at public events.